George Clooney is one of the highest paid actors in the world among stars like Dwayne Johnson, Robert Downey Jr., Chris Hemsworth, and Jackie Chan. But unlike his well-known and wealthy counterparts, Clooney not only took the No. 1 spot for 2018 but did so without acting in a single film this year. With such an impressive title and even more impressive net worth it’s easy to see why Clooney and wife, Amal are one of Hollywood’s most giving couples. Clooney didn’t take part in any new movies or TV shows in the last year, but that didn’t stop him from claiming the best-paid actor spot thanks to his side hustles (and he isn’t the only one upping their income this way). The surprise purchase of his successful tequila company, Casamigos, in June 2017 boosted Clooney to the top of the list, pushing him ahead of Dwayne Johnson who took in an impressive $124 million thanks to his large upfront checks for starring in films such as Jumanji: Welcome To The Jungle. 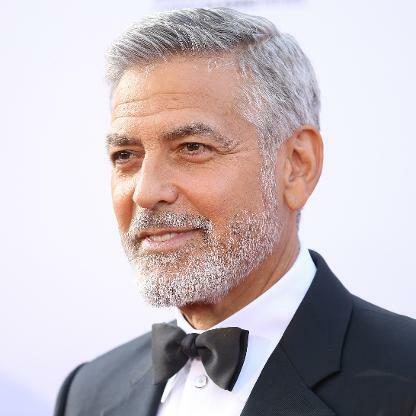 Clooney is also the brand ambassador for the famous coffee company, Nespresso and has starred in several commercials alongside stars such as Natalie Dormer, Andy Garcia, and Jack Black. The most recent Game of Thrones-themed advert helped bolster his profits this year.